Online Trading and Investing: Alibaba : To invest or trading? Alibaba : To invest or trading? 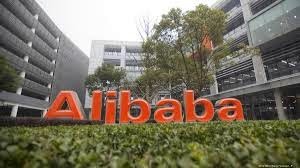 Alibaba has announced that their stocks will be trade publicly on the 19th of September 2014 on the New York Stock Exchange. Alibaba is currently being hyped on the financial markets. Today 8th September 2014 the company's roadshow has started, to get investors interested to buying their stocks. What kind of company is Alibaba? Before we can determine of this company is worth buying or not we need to understand their businessmodel is and how are they executing it. The Economist described Alibaba as one of the world greatest online Bazaar ( source : http://econ.st/1ArRclO). Almost every transaction that has been made online in China's e-commerce , Alibaba gets a % of that transaction value. Why do people wants to buy shares of Alibaba? In the financial world almost everybody wants to buy shares of Ailbaba. Most analyst are saying that the e-commerce of China can grow a lot bigger. According to them China's e-commerce growth hasn't reach their full growth potential yet. Since Alibaba is positioned so well in China, forecasters are expecting that Alibaba is going to earn a lot of money in the future. You can buy shares of Alibaba and cfd's at Plus500. If you don't have an account of plus500 yet then you can open an account by click on here. At plus500 you can get a welcome bonus up to 7000 euro or 7000 pounds. So if you want to op a plus500 account then click on plus500 now. I think Alibaba's shares are good for the long term investment. I can see the company growing. I was a bit moved after reading the letter that Jack Ma wrote to his investors. You can read the letter by clicking on here. Or just go Facebook. For trading i would recommend not to trade the shares on the first day as it very volatile. It would be very difficult to make a good profit from it. 2. Alibaba revenue is smaller then the revenue of Amazone. But the profit of Alibaba is bigger then that of Amazone! If you are unhappy with your broker or trading platform at the moment? Give Plus500 a try and receive a nice welcome bonus. Plus 500 is very nice platform to trade on. As the platform is very simple and it has no clutter that could create a distraction. So you can focus completely on your trading. Till next time have a good trading week!